Check out our RCC Youth & Young Adults page on Facebook or contact Andy to see what’s planned for this week. Come along and say hello! If you want to get connected, join us during the week for life groups or on alternate Sundays (every second Sunday) for our Encounter Christ service where we look to Worship, Engage, and Encounter Christ together. 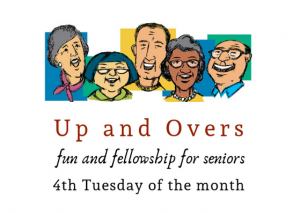 Up & Overs is a monthly program for seniors, providing opportunities to enjoy a variety of activities and outings. 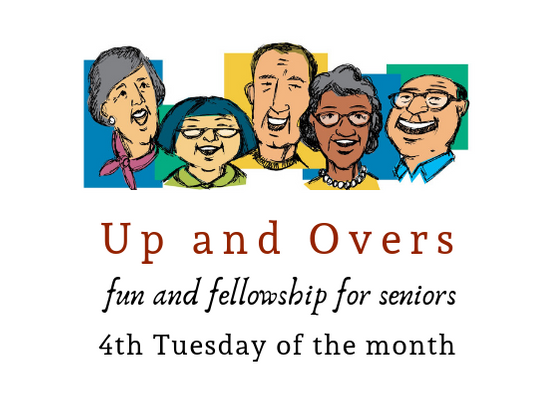 Up & Overs takes place during the day on the last Tuesday of the month. Programs alternate between outings and events at the Church or in people’s homes. Many people say that some of their most helpful church experiences have been in small groups where they can share and interact with peers as they explore the Bible. RCC has connect groups for Youth, Young Adults and Adults. These meet on Monday, Tuesday, Wednesday, Thursday nights at homes in the community. For more information, contact admin@ringwoodcommunitychurch.com .